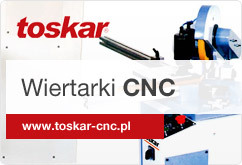 TS 150 POŁĄCZONE FREZARKA / PIŁA TARCZOWA 1500 MM. 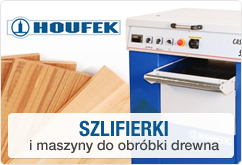 SC 1400 PIŁA FORMATOWA 1500 MM. GL 25 SZLIFIERKA TAŚMOWA 2500 MM. GL 30 SZLIFIERKA TAŚMOWA 3000 MM. GA 630 OSTRZARKA DO NOŻY 630 MM. S 300/1 SZCZOTKARKA 300 MM. S 600/2 SZCZOTKARKA 600 MM. S 800/2 SZCZOTKARKA 800 MM. S 1300/2 SZCZOTKARKA 1300 MM. S 300/2 SZCZOTKARKA 300 MM. S 300/4 BUERSTMASCHINE 300 MM. S 600/4 SZCZOTKARKA 600 MM. S 1300/2 RS SZCZOTKARKA 1300 MM. GP 20F PRASA NA ZIMNO 2500X1300 MM. GP 40/S PRASA NA CIEPŁO 2500X1300 MM. GP 70/S PRASA NA CIEPŁO 3000X1300 MM. GP 90/S PRASA NA CIEPŁO 3500X1300 MM. GP 30F KALTPRESSE 2500X1300 MM. GP 30/3F KALTPRESSE 3000X1300 MM. GP 40F KALTPRESSE 2500X1300 MM. GP 40/3F KALTPRESSE 3000X1300 MM. GP 50/S WARMPRESSE 2500X1300 MM. GP 60/S WARMPRESSE 2500X1300 MM. GP 80/S WARMPRESSE 2500X1300 MM. GP 85/S WARMPRESSE 2500X1300 MM. GP 100/S WARMPRESSE 3000X1300 MM. GP 120/S WARMPRESSE 3000X1300 MM. GP 130/S WARMPRESSE 3500X1300 MM. GP 150/S WARMPRESSE 3500X1300 MM. 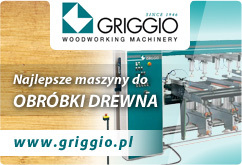 GB 5/8RA OKLEINIARKA DO KRAWĘDZI M.ABRUNDAGGR. L 25 SZLIFIERKA TAŚMOWA 2500 MM. L 30 BANDSCHLEIFMASCHINE 3000 MM. PS 41 GRUBOSCIÓWKA 410 MM. TA 150 TOKARKA 1500 MM. TA 120 HOLZDREHBANK 1200 MM.